It might not be much fun, but quitting cold turkey may be the most effective strategy to stop smoking cigarettes for good. 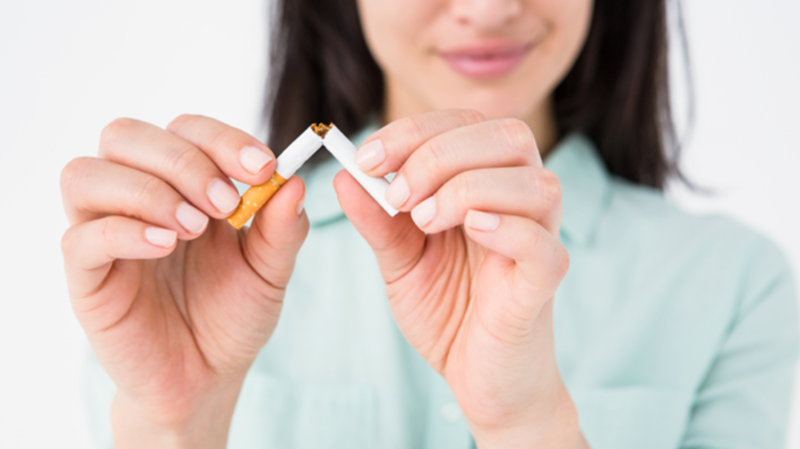 According to a recent study published in the journal Annals of Internal Medicine, many smokers prefer to stop smoking gradually, reducing the number of cigarettes they smoke over time. However, while the gradual reduction strategy may be less uncomfortable, it’s also less effective. In fact, the study found that quitting cold turkey was 25 percent more effective than cutting back gradually. Time explains that the study, led by researcher Nicola Lindson-Hawley of the University of Oxford, monitored approximately 700 smokers as they attempted to quit. All of the study’s participants smoked at least 15 cigarettes a day, received nicotine patches and behavioral counseling, and set a quit date two weeks in advance. However, half of the participants were asked to smoke normally in the weeks leading up to their quit date, while the other half were told to gradually reduce the amount they smoked by 75 percent. Researchers checked back in with participants four weeks after their quit date, and then once more six months later. Within the first month, 49 percent of those who quit abruptly had successfully abstained from smoking, while the same could only be said about 39 percent of those who quit gradually. Within six months, meanwhile, 22 percent of those who quit abruptly were still smoke-free, compared to 15 percent of the gradual group. While neither success rate was especially high, the cold-turkey approach was more effective. “The difference in quit attempts seemed to arise because people struggled to cut down," Lindson-Hawley says. "It provided them with an extra thing to do, which may have put them off quitting altogether. If people actually made a quit attempt then the success rate was equal across groups. We also found that more people preferred the idea of quitting gradually than abruptly; however regardless of what they thought they were still more likely to quit in the abrupt group." But Lindson-Hawley is quick to point out that even a reduction in the amount smoked is an improvement. "For [people who want to quit soon and are given appropriate support] the best advice appears to be to pick a day and stop smoking completely on that day," she says. "However, as we found that at the start of the study many people cannot imagine being able to stop completely. For these people it is much better to attempt to cut down their smoking than do nothing at all and we should increase support for gradual cessation to increase their chances of succeeding."